Nice change of texture on this red boot stocking. Rich colors ,warm and cozy look. Great for all rustic or country decors. Or just get a bunch and sew them together for a little rug. Very well done - great stocking at a great price. 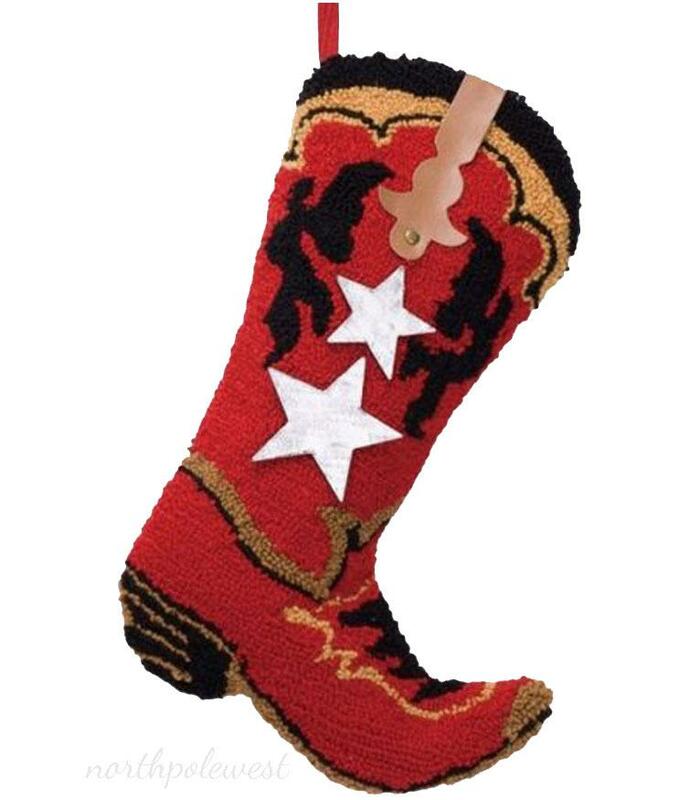 19"
Nice change of texture on this red boot stocking. Rich colors ,warm and cozy look. Great for all rustic or country decors. Or just get a bunch and sew them together for a little rug. Very well done - great stocking at a great price.